Scott Carson, chief executive of Boeing Commercial Airplanes, is keeping an especially close eye on one particular airplane rolling off a local production line this month. This past week, he was delighted to learn that the landing gear had been attached. No delays are anticipated in delivery of the airplane, one of about 100 to be produced at the plant in 2007. The airplane is not Boeing's first Dreamliner. The factory, far from Everett, belongs to the state's other airplane manufacturer. The apple of Carson's eye is a sporty little two-seater built by CubCrafters of Yakima, priced at around $120,000. He's buying it for himself and his family. Carson has made several visits to the Yakima facility, which employs about 100 in manufacturing and maintenance facilities alongside McAllister Field airport. It turns out he has a personal family connection with the site. His father, Kit Carson, took a break in the 1950s from his career as a Boeing test pilot to work as a contract pilot for Lamson Aircraft at the Yakima location now used by CubCrafters. For about 18 months, the elder Carson flew a prototype gull-winged crop-duster airplane called the Lamson Air Tractor. 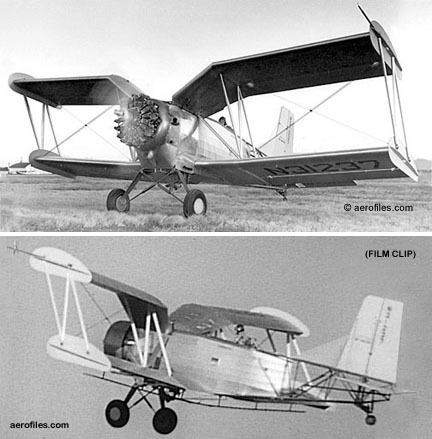 Though the company failed before the aircraft went to market, the design was bought and further developed by Grumman into a successful crop-duster called the Grumman Ag-Cat. Today, at 61, Scott Carson is buying a Sport Cub S2, a modernized version of the old Piper Cub that dates to the 1930s. It's what's known as a "metal-tube-and-fabric" aircraft, which makes it extremely light. Carson's plane does, however, have modern avionics and airbags. It's a plane for someone who loves flying. "We have a shared passion," said CubCrafters Chief Executive Todd Simmons. "Scott is very much an airplane guy, going back even to his teenage years." In the early 1960s, Carson took an aircraft mechanics course at the old Edison Technical School on Broadway in Seattle, a course which later became part of the South Seattle Community College program. Carson never did complete that course, but at a conference Thursday in Bellevue, Jill Wakefield, the college's president, presented him with an honorary airplane mechanic certificate. In any case, Carson's career in aviation had long since taken off. In an e-mail, Carson said he first flew solo at about 17. By year end, he'll have a new set of wings. Does Boeing in Chicago have any concerns about Carson flying a small plane while he's CEO? "No issue," said Boeing spokesman Peter Conte. "We have many Boeing employees and executives who fly. ... It's what we do." Call it one small step for spam, one giant leap for spamkind. After a 63-page legal and linguistic analysis, a panel of federal trademark judges ruled this past week that consumers aren't likely to confuse Spam, the canned meat product, with Seattle-based Spam Arrest's software for blocking junk e-mail. It's "the first and only" victory in a raft of cases that meat-packing giant Hormel, which makes Spam, has brought against software companies, says Spam Arrest's attorney, Derek Newman. Some others settled, while many have been waiting for the outcome of Spam Arrest's bout. The case was widely watched in the world of trademark law because the evolution of the word spam created "kind of an unusual situation," says Graham & Dunn attorney Michael Atkins, who writes a blog on the subject. Companies commonly try to keep a product's trademarked name from becoming a generic term for that type of product. Some struggle — see Xerox, Kleenex or Frisbee. Others fail entirely, in what trademark lawyers call "genericide" — "elevator was once a trademark, as was aspirin," says Newman. But in the case of spam, the word jumped from its original product category into something completely different (courtesy of the British comedy group Monty Python's skit where the use of "spam, spam, spam, spam" overwhelms other conversation). "Hormel has tried to put the genie back in the bottle" with these cases, he says, but the judges concluded that the company "does not have a monopoly over ordinary English words, which the trademark board found spam was." Hormel attorney Allen Hinderaker in Minneapolis says the company is considering whether to appeal the decision. Newman says Spam Arrest "has spent several hundred thousand dollars" on the case but is prepared to fight on. The ruling leaves Spam Arrest's trademark intact. But it doesn't mean there's free license to use the word spam just anywhere. Hormel, the judges note, has registered the Spam trademark not just for meat products but also for "wearing apparel, hand kitchen slicers, jewelry, playing cards, pens, mugs, tennis balls and toys, and the service of participating in automobile races." After all, as an official for the Spam Museum gift shop testified, "it seems anything we can put Spam on will sell."